A lot has changed at Uraidla Brewery since CityMag visited last. In January last year, head brewer Oscar Matthews had released the brewery’s inaugural beer, the Third Eye Pale, and had scheduled the release of two more for the coming months. The greatest change, though, has come in the form of the brewery’s canning line. Because the Uraidla Hotel and Brewery operate as two separate businesses, the growler system most brewpubs operate with (bring in an empty 1.85-litre brown glass jug and fill it with beer) is not possible. But in order to grow the brand’s presence in the local beer market, the brewery needed a take-home option. “Going into cans has been really good for getting the brand out there. It’s definitely helped pick up a lot of traction for people figuring out that we even exist,” Oscar says. Uraidla Brewery seasonals Forgotten Ritual and Perpetual Purgatory. Read more about the beers below. 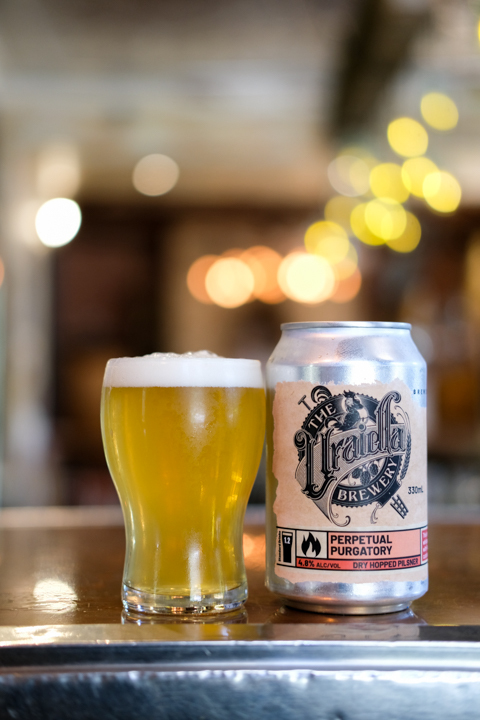 Uraidla Brewery has instated four core-range beers – Draught Helles Lager, Botanic Sessions Pale, Third Eye Pale Ale, and Old Ones IPA – and a range of seasonal and one-off beers will be released into cans regularly. Seasonal brews Perpetual Purgatory Dry Hopped Pilsner and Forgotten Ritual Unfiltered Pale Ale have been in the market for about a month, and the brewery last week released Lucifer’s Lifeblood American Amber, made to welcome in the autumnal weather. 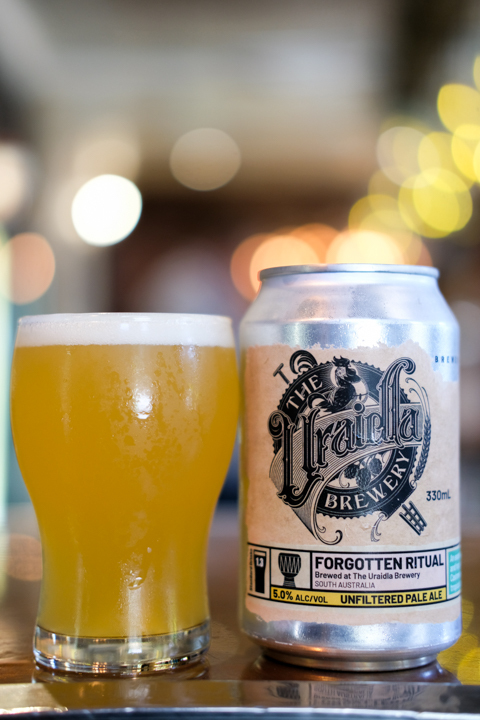 While the brewery has sold kegs into a number of venues, Uraidla Brewery’s packaged product has also made it easier for the business to participate in local events and extend their reach into venues outside of the Uraidla, with cans stocked in CBD venues East End Cellars and Sturt Street Cellars. The brewery’s output is quickly approaching half of its 190,000 litres per year capacity, but the business’ growth has been deliberately measured, Oscar says. “We’re in it for the long haul we don’t want to rush it. We want to make sure we’ve always got enough beer to supply [our regulars],” Oscar says. Keep an eye on Uraidla Brewery’s social pages for updates on new releases, and if your local bottle shop doesn’t stock their cans, give ‘em an earful. “I like brewing a lot of pales and IPAs as well, so basically I’ll come up with an idea and well throw a whole bunch of different hops at it. This one uses Cashmere, which is an American, and Nelson Sauvin, which is New Zealand. “I really like lagers. A lot of people are doing those super hazy beers at the moment, so that involves partly dry-hopping during ferment and that sort of thing. You get a lot a lot of different flavours out of your beer. So I wanted to make a pilsner that’s a little bit new-world, not completely classic, new varieties of hops that are still somewhat true to style. Again, that’s why we selected German ad New Zealand hops. We’re using Pacifica and Saphir – Pacifica is New Zealand, Saphir is German.